In the mood for some summer seafood? 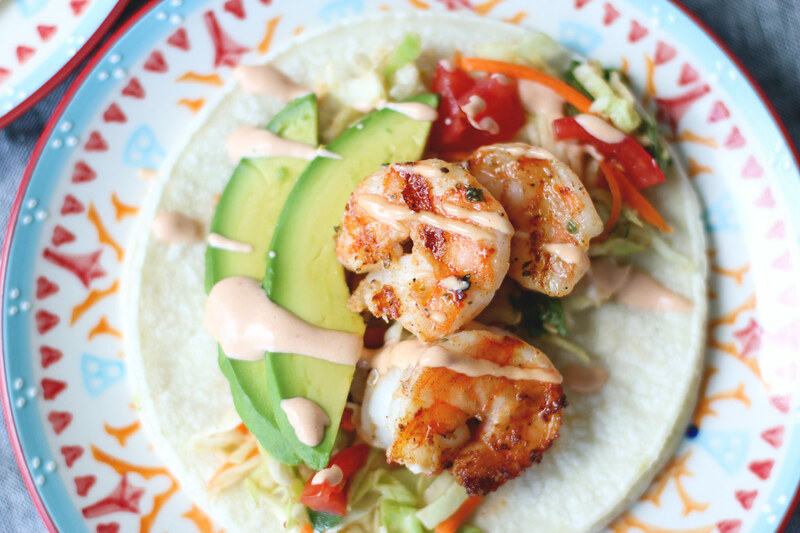 Try these grilled shrimp tacos for a fiesta in your mouth. They are easily adjustable to match specific appetites. Pair them with a little aioli and Mexican coleslaw for the ideal shrimp street taco. 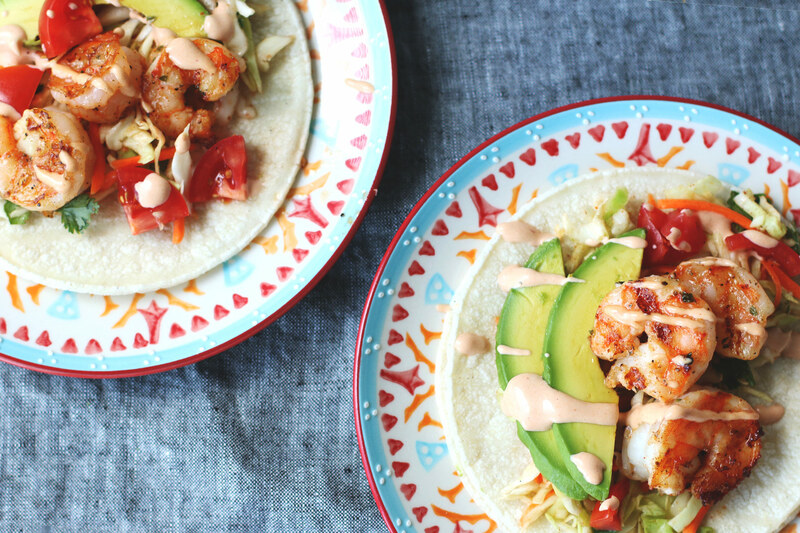 We suggest making the coleslaw and aioli before cooking the shrimp for your tacos. Place them in the refrigerator until your ready to serve. Place a skillet over medium heat and add a little olive oil, enough to coat the bottom of the skillet. While the pan and oil are heating up wash and peel the shrimp. Add the shrimp to the hot skillet with a 1/2 tablespoon of Colorado salt and saute until the shrimp are cooked all the way through, about 4-5 minutes per side. If you prefer to grill the shrimp, preheat your grill while preparing the shrimp. Toss them in a bowl with the Colorado salt and oil, then grill until they are cooked all the way through, about 2-3 minutes per side. Plate 2 tortillas per serving. Top each tortilla with the Mexican coleslaw, diced tomatoes, grilled shrimp, and 1-2 avocado wedges. Drizzle a little spicy aioli on top, a squeeze of lime, and enjoy! 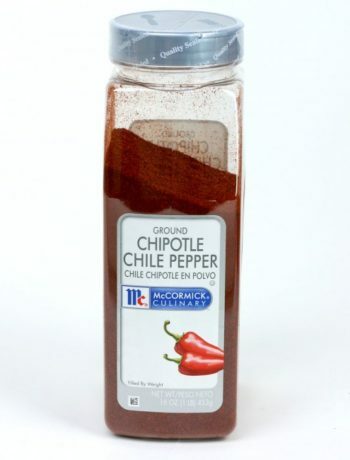 3-4 tablespoons spicy aioli (we suggest using this recipe and adding a dash of cayenne pepper. Prepare the coleslaw and aioli before cooking the shrimp for your tacos. Place them in the refrigerator until your ready to serve. Place a skillet over medium heat and add a little olive oil, enough to coat the bottom of the skillet. While the pan and oil are heating up wash and peel the shrimp. Add the shrimp to the hot skillet with a 1/2 tablespoon of Colorado salt and saute until the shrimp are cooked all the way through. If you're grilling the shrimp, preheat your grill while you prepare the shrimp. Toss them in a bowl with the Colorado salt, then grill until they are cooked all the way through. Plate 2 tortillas per serving. Top each tortilla with the Mexican coleslaw, diced tomatoes, grilled shrimp, and 1-2 avocado wedges. Drizzle a little spicy aioli on top and enjoy! 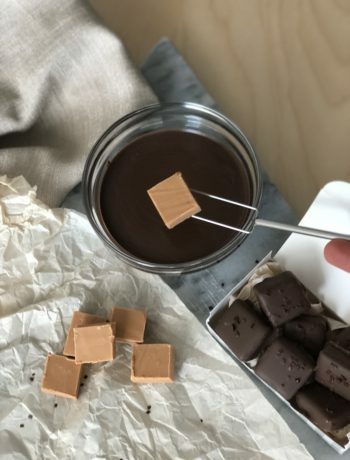 Does Room Temperature Matter When it Comes to Working with Chocolate?